A popular seaside resort in the province of Teramo, Roseto degli Abruzzi (also known by the name of Lido delle Rose ") developed in the XIX century as a district of the ancient hill town of Mutignano. The area was inhabited since the Roman period, as attested by several finds brought to light, and are still visible traces of ancient fortifications and of the four main entrances to the hill town. The coastline of Roseto degli Abruzzi is one of the most popular of the entire Abruzzo Coast and offers miles of wide and sandy beaches. 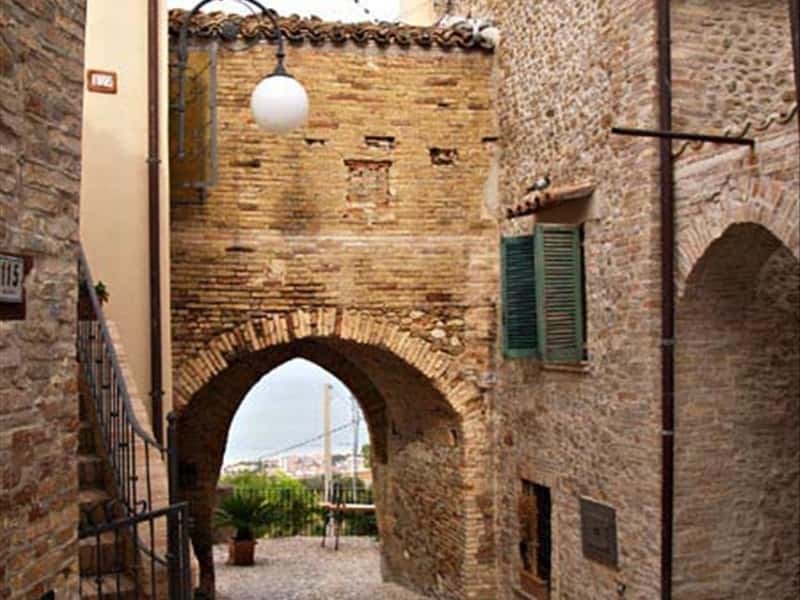 At the mouth of the river Vomano, it features a small tourist and functional port. - the Church of the Santissima Annunziata (end of XVI century), which preserves a precious altar in polychrome wood statues of Saints and Prophets. In its Sacristy it features an inscription, which commemorates the birth of Roseto (May 22, 1860), placed by the clergy to remember the important land legacy to the Church, donated by this person. - a Museum of Culture Material of Montepagano. This town web page has been visited 24,879 times.